It makes me laugh to think that in a house full of fancy toys & play sets, it is always the simplest things that hold on to our children’s attention the most. 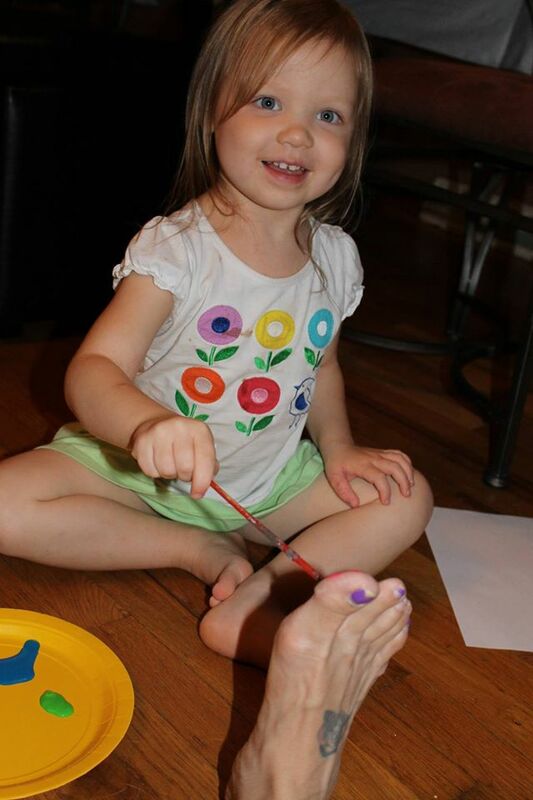 Our daughter loves to paint & draw, so we got her an easel. She prefers to draw at the kitchen counter. She loves building and stacking, so we got her building blocks & Legos. She still is piling up Play-Doh containers & paint bottles. 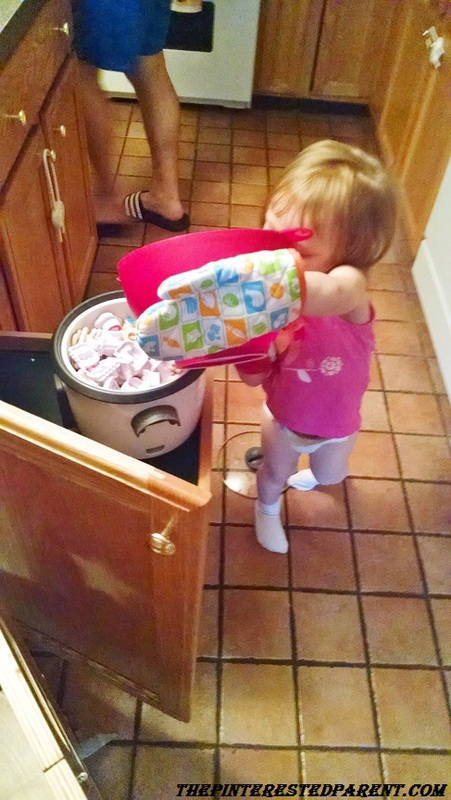 She loves to cook, so when her cousin gave her a beautiful play kitchen filled with fake food and pots & pans, we thought she would be ecstatic. 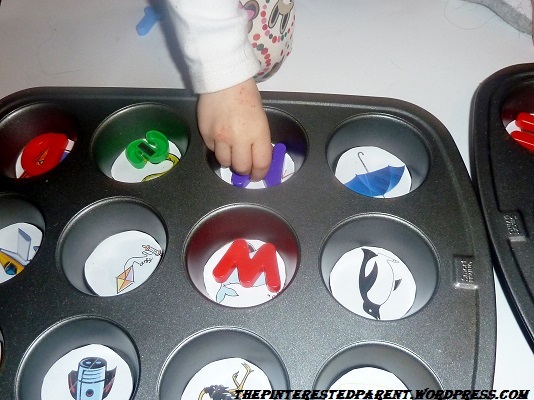 Instead of cooking up plastic chicken drumsticks & Velcro vegetables, Mai was more interested in mixing up a pot of alphabet magnets. 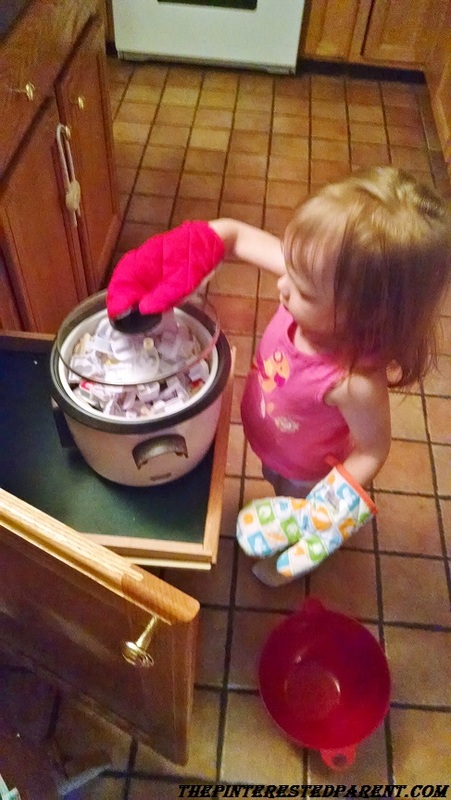 Here she is cooking up something delicious in our rice cooker. After dinner last night, Mai was a little bit antsy & mommy was tired. I needed something to keep her occupied for a little while. I asked her if she wanted to play with some water. 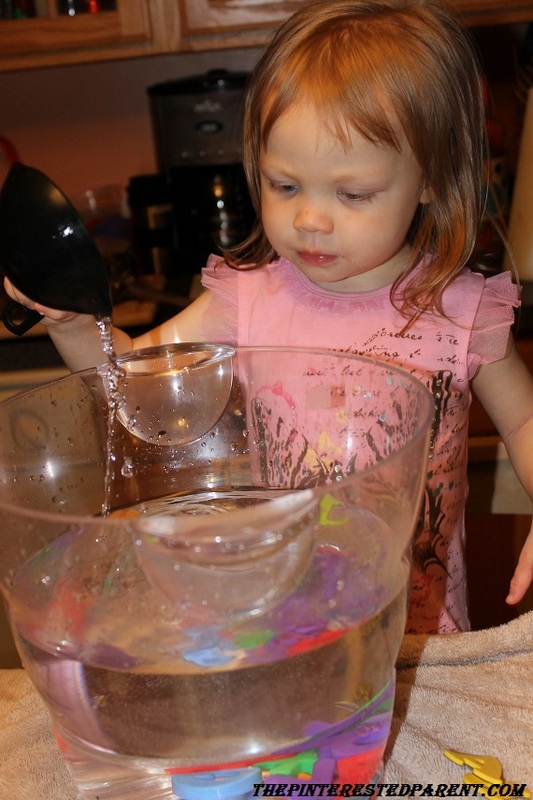 I already knew what the answer would be, because she loves water play. 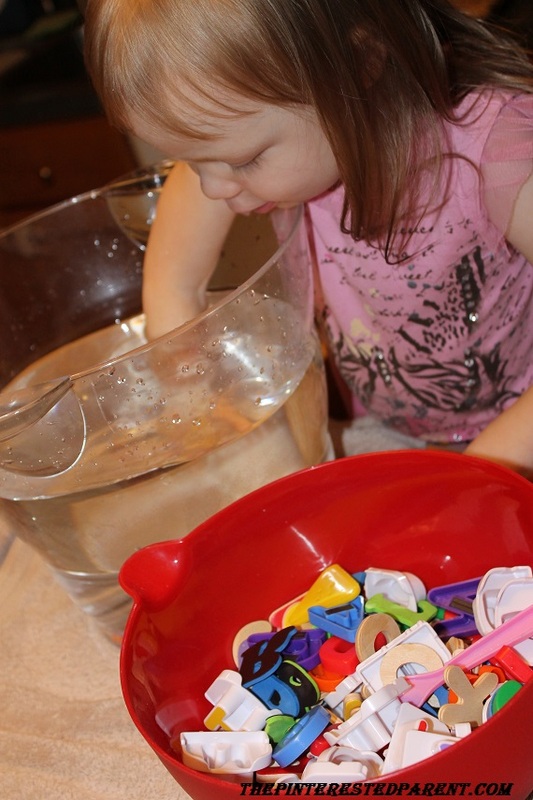 I filled up our ice bucket with some water & went to get her some measuring spoons and scoops to use with the water. 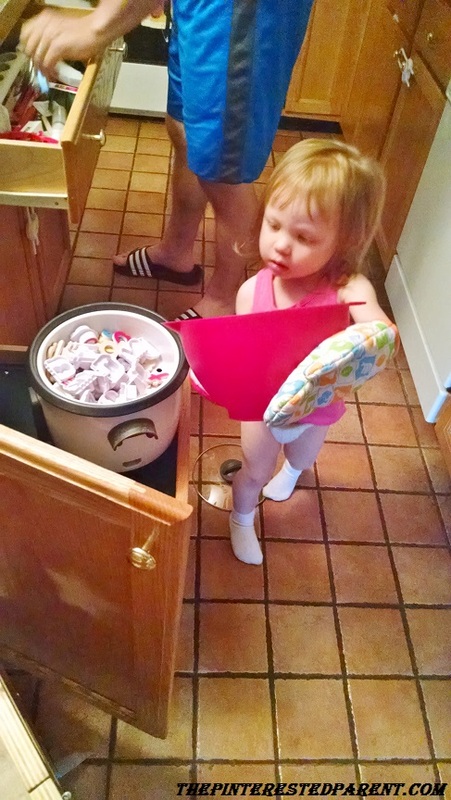 When I came back she had poured all of her ABC magnets in the bucket & was whirling them around with her hand. 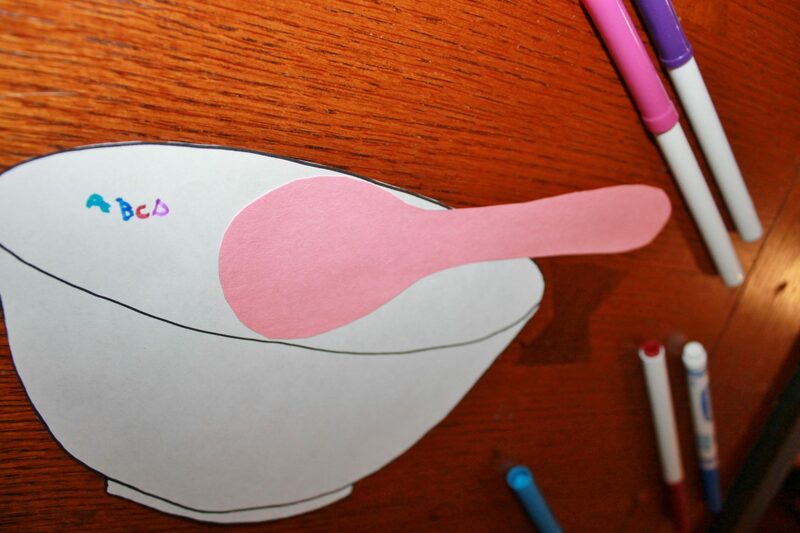 We traded in our measuring spoon for a ladle & a handled sieve instead. 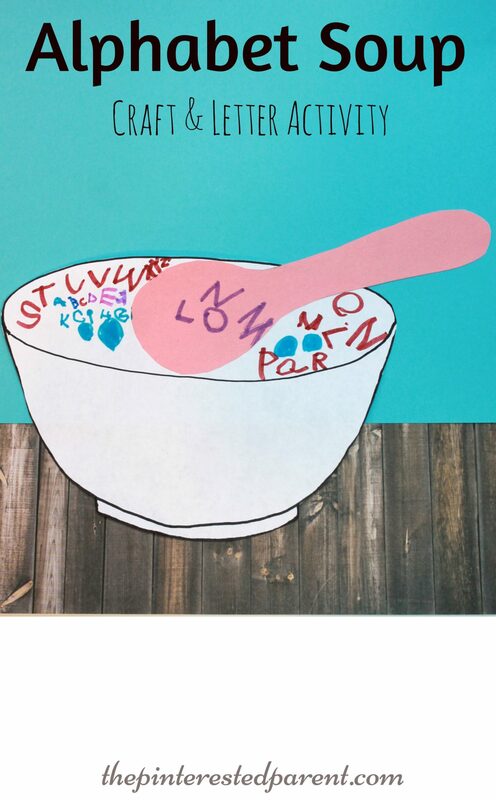 Mai would use the ladle or sieve to fish out the letters. “I making soup.” Yes you are. It looks delicious. We made a little game out of it. 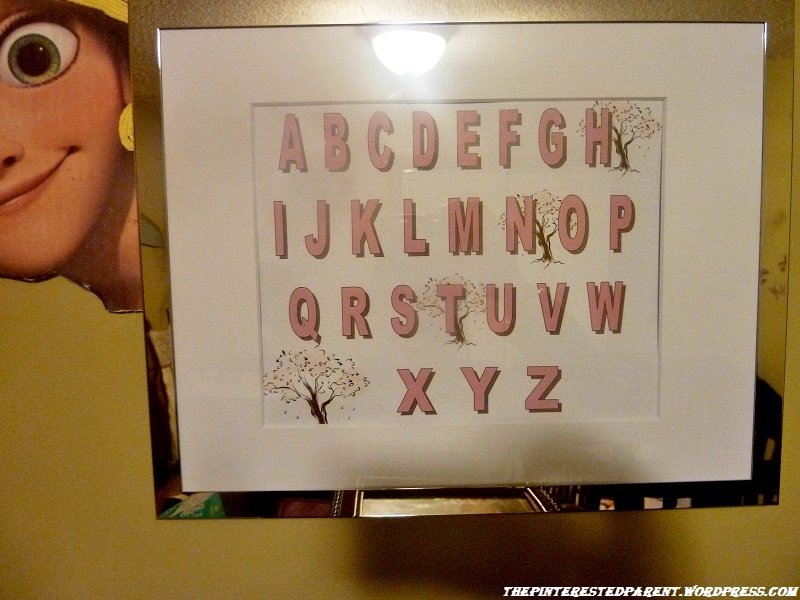 “Mai, can you find me the “P””? Like I said, it really is the simple things. She played happily up until bath time, while I got a chance to sit down for a bit & just enjoy watching our happy little girl. 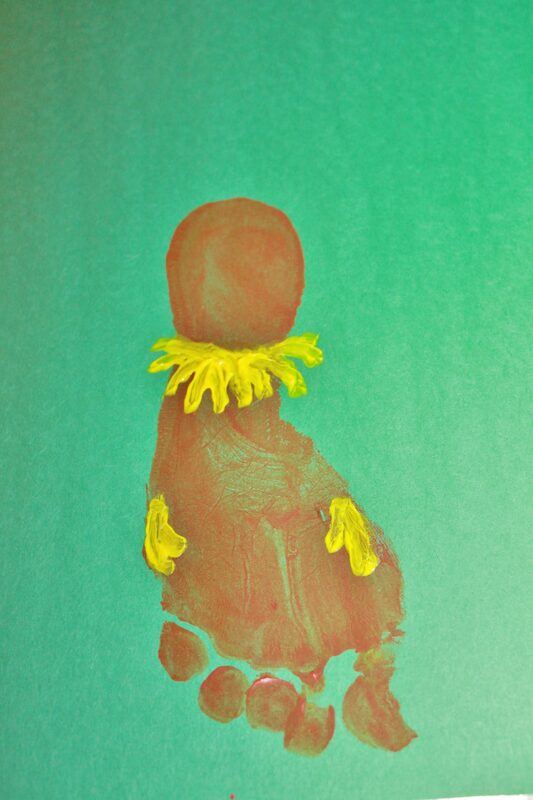 I know I have told you many times about what a difficult infant my daughter was. From the moment she was born, she gave me a run for my money. She cried all the time, all the time. I remember my first day with her in the hospital, when she first started and did not seem to stop. In a panic I started singing the first song that came to mind, the ABC song. It miraculously quieted her cries as she stared up at me taking in my song as I named off each letter. She listened so intently, her eyes fixed on my mouth as I sang. This became my go to song to soothe my daughter. Now here it is 2 1/2 years later & it is still a favorite. Mai sings her ABC’s all the time. Many mornings we are awaken by the sounds of her sweet voice reciting her alphabet. 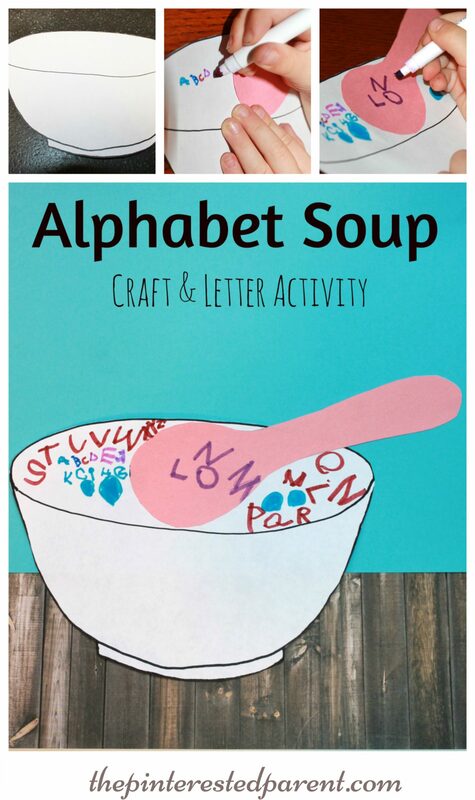 We have been working on sounding out our letters for quite some time now. 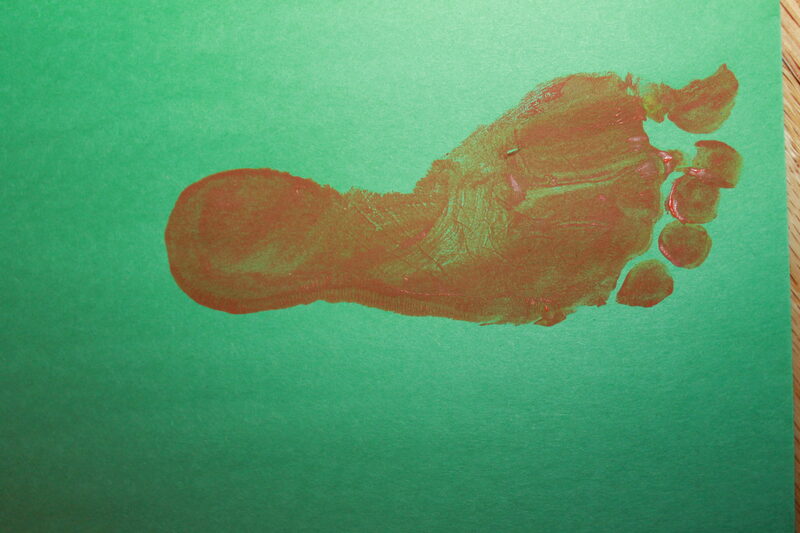 We do many activities and lessons to practice. At random, I will start pointing out objects and sounding them out for her. “Look Mai, hat. “H” hhhhhhhh. “A” aaaaaaaaaaaa. 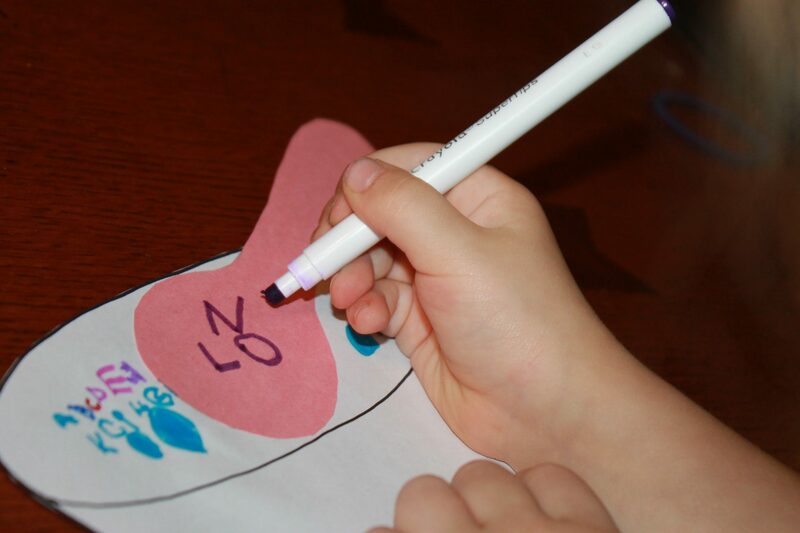 “T” ttttttttt, hat” We read, work on her ABC puzzles & she watches me write the letters out on her chalkboard. 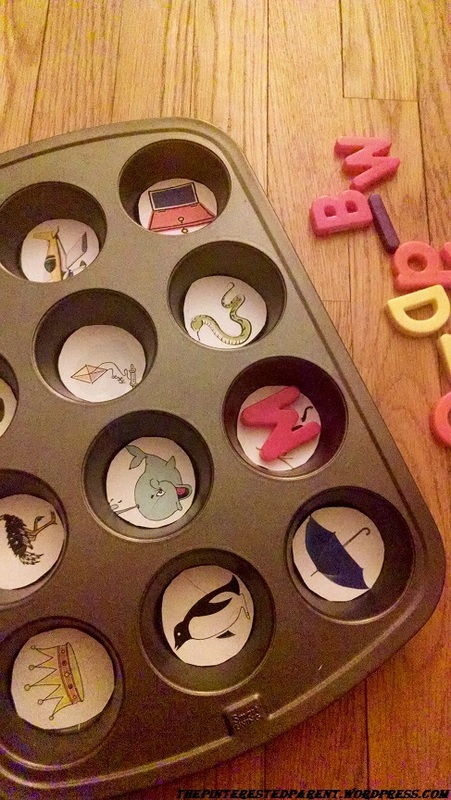 One of my daughter’s favorite phonics games to play is a simple one. We like to have living room picnics, so we usually lay down a blanket and sit on the floor. 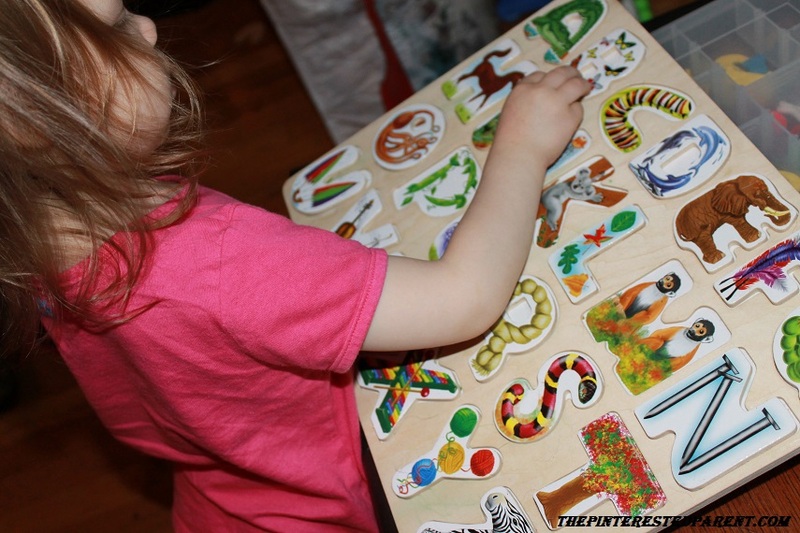 We use her ABC magnets & put them in a pile on the floor. 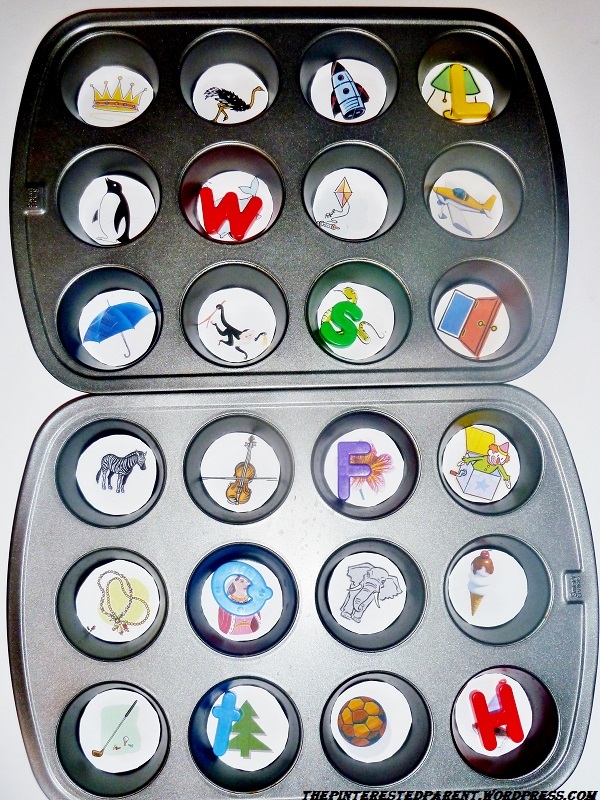 We grab them one by one and Mai will tell me the letter and a word that the letter begins with. As you can see from her video, she is very enthusiastic about this game. She is very proud when she gets them all and so is mommy. Sometimes it is the simplest of things that have the greatest effect. What is wonderful is we play this often and she comes out with new words each time. Sometimes she even says some that mommy doesn’t know. The other day, she told me “Q” was for quoll. I had to ask her a couple of times to repeat it. “Are you saying quoll?” “Yes, the quoll is sooooooo cute.” I had to Google it. A quoll is a little animal that kind of looks like a mouse. She was right they are pretty cute. I discovered later that one of her ABC Mouse activities featured a quoll. My little smarty is already smarter than mommy. Our home is no longer an adult’s house. It is a toddler’s house that has a couple of adults living in it. There is not one room in our house that is not filled with Mai’s toys, clothes, artwork or books. I can hardly remember what is was like to have a tidy house. We read a lot in our home. My daughter loves being read to and now is at the point that she knows most of her books so well that she can recite them to us. Her books are everywhere. We have two baskets of books in our living room, a pile on her floor in her room, a stack on our night stand in our room and a shelf of them in the kitchen. I had read a suggestion regarding rotating your books out as you do with your toys, that your toddlers only need a few books out at a time. The thing is my daughter reads them all. I boxed up a few of the less popular books in her collection and she knew that they were not there. We have book picnics in our living room, where we will lay about 15 books out with snacks and pillows and we will go through them all. 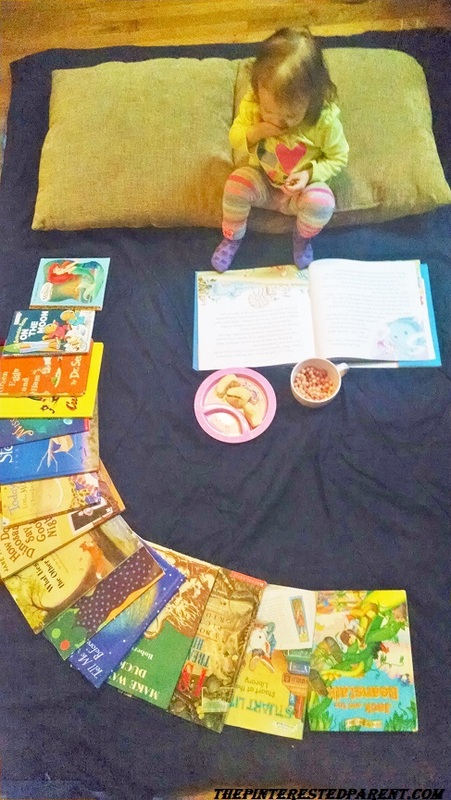 I wanted to organize her books better and at a little cuteness to her space as well. 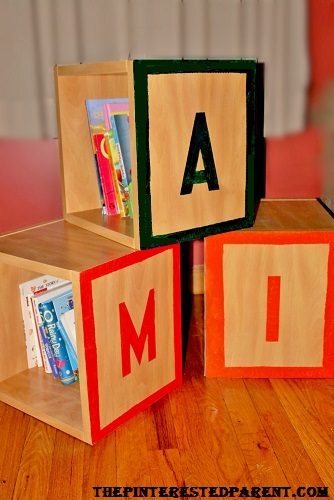 This was a simple project using wooden storage cubes. Lay down newspaper and gather all your supplies. 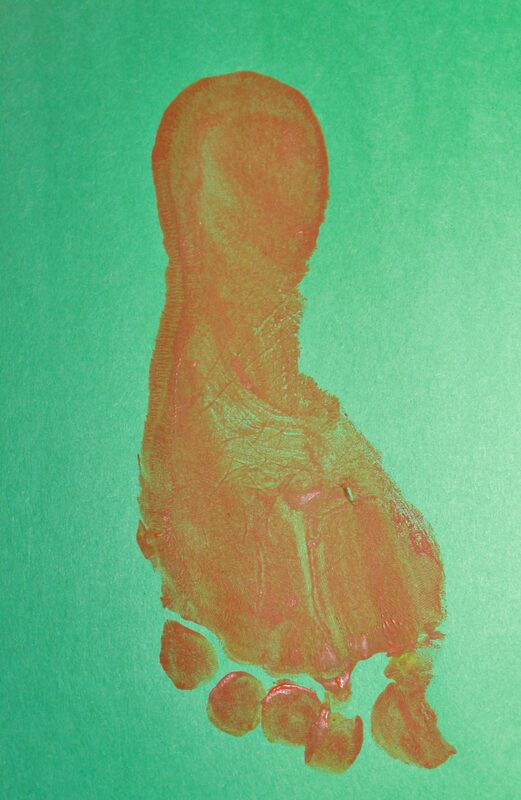 Position your first block for painting. 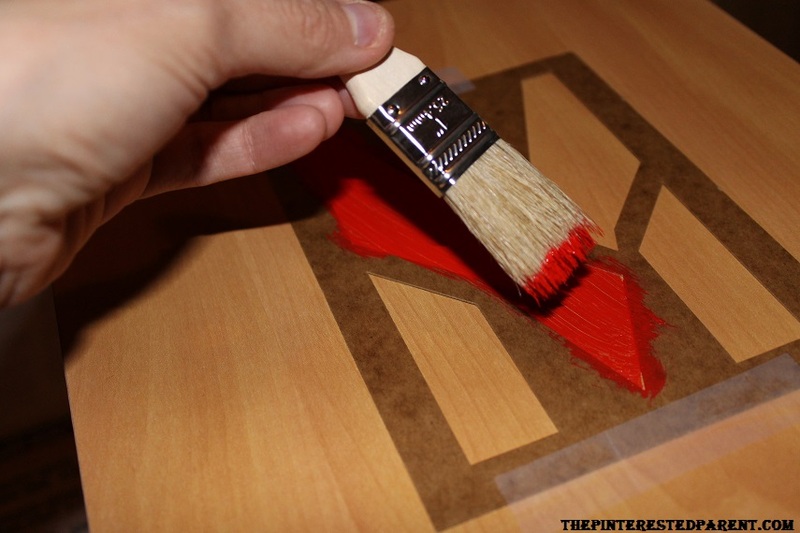 Place your stencil in the center of your block. Measure around all four sides to make sure that you are centered. 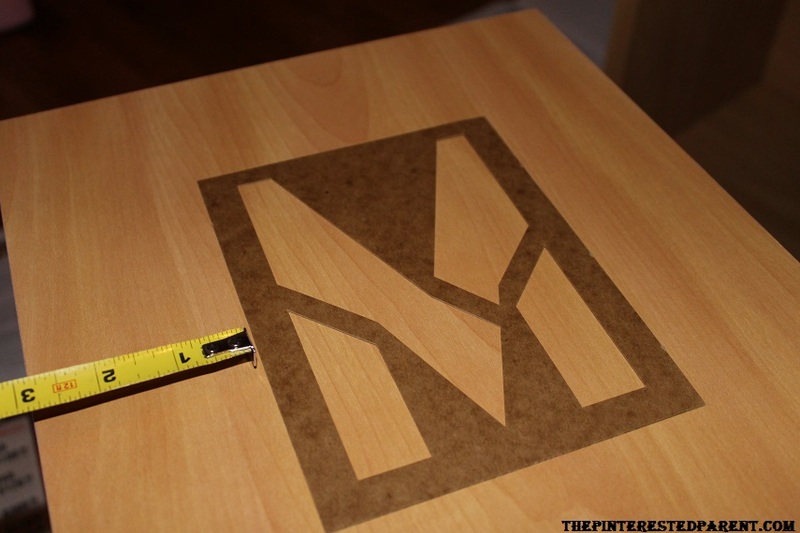 Tape the stencil in place. 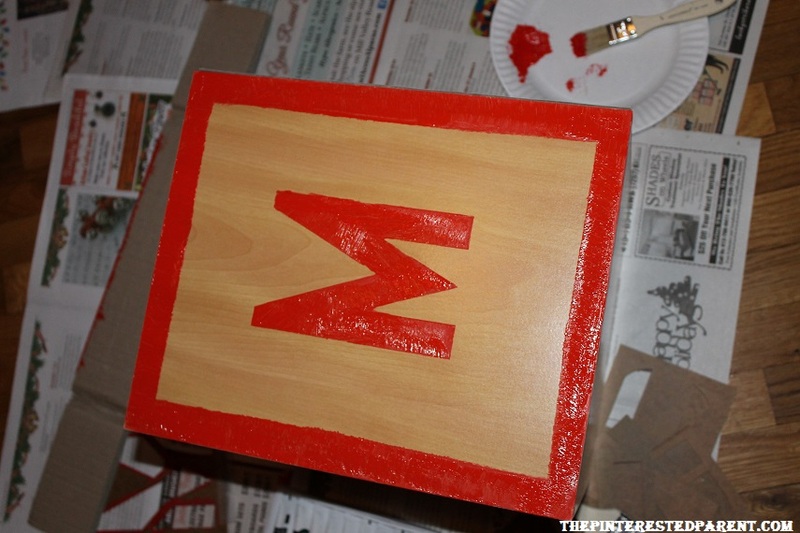 Using the color of your choice paint within the stencil. 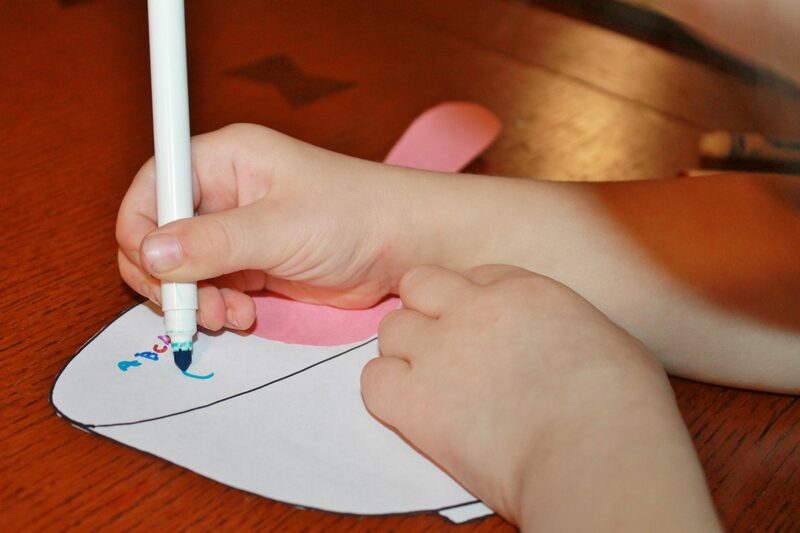 Using a ruler or anything with a hard edge, paint a straight thick line about an inch thick around all four edges. Let dry and then repeat all steps with how ever many cubes you choose to use. 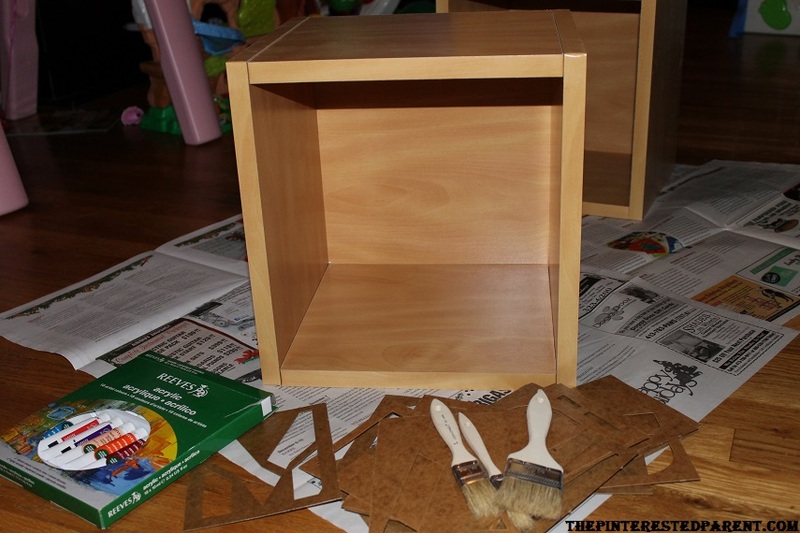 For your bottom cubes, paint so that the openings are opposite of one another so that you may get books easily. Secure with gorilla glue, nails or screws to secure the blocks in place. 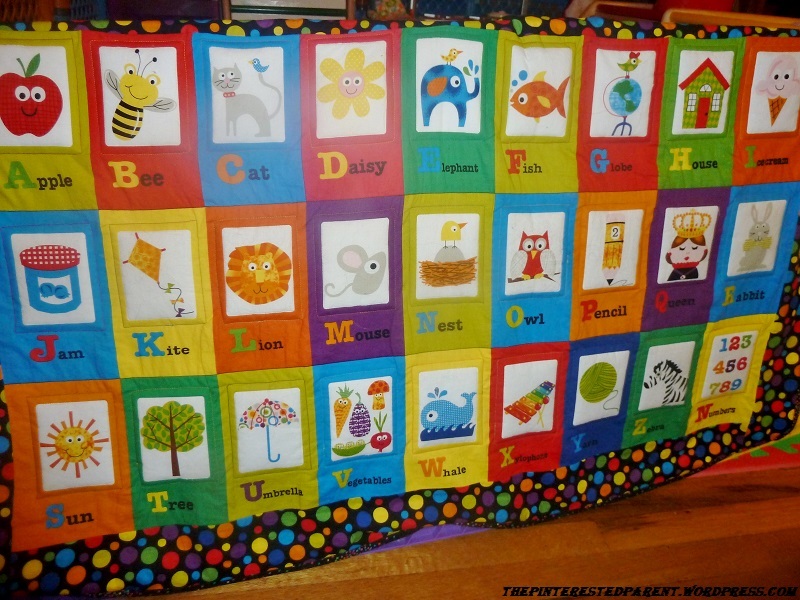 Mai’s Nanna made this beautiful ABC quilt for her. 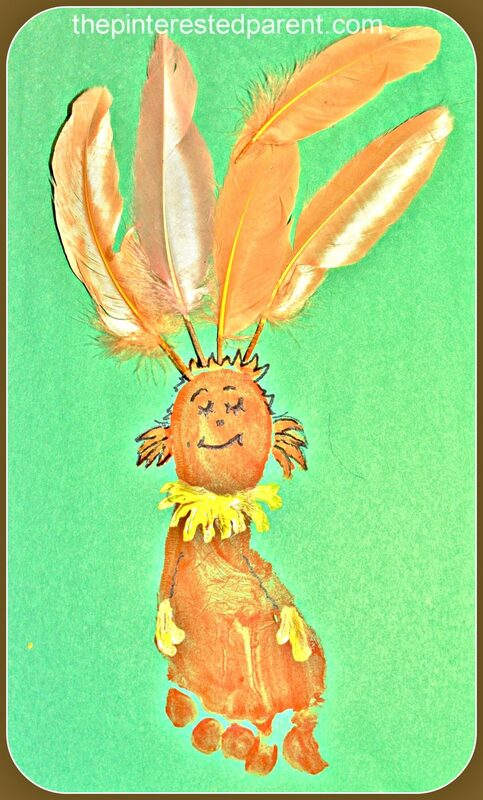 It hangs on the fence in her playroom. 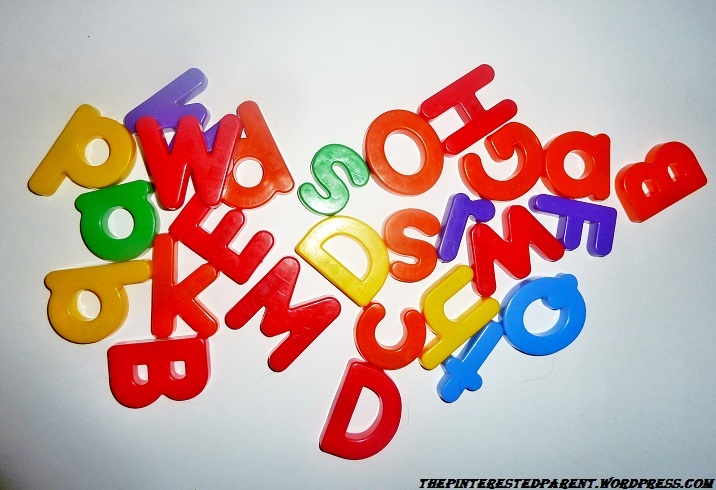 With all of the alphabet jammed down her throat, it was no wonder that she learned her Abcs early. She has been sounding out her letters for some time now. She will play with her refrigerator magnets often while I am cooking. “B! Bbb bbb boy” You are right baby, B is for boy. She is growing up so fast that I can hardly believe it. 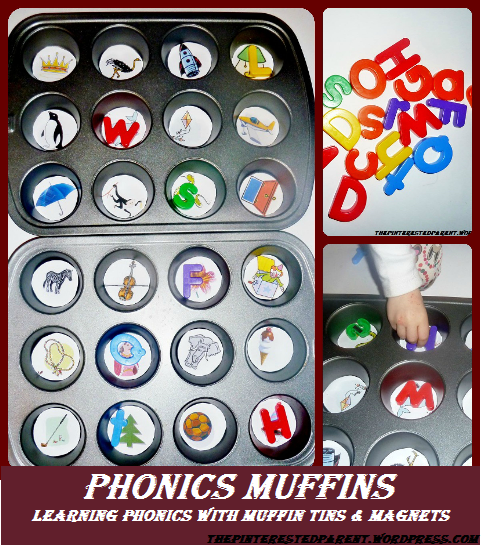 With Mai sounding out her letters so much, I came up with a game that could hopefully challenge her phonics learning and entertain her. 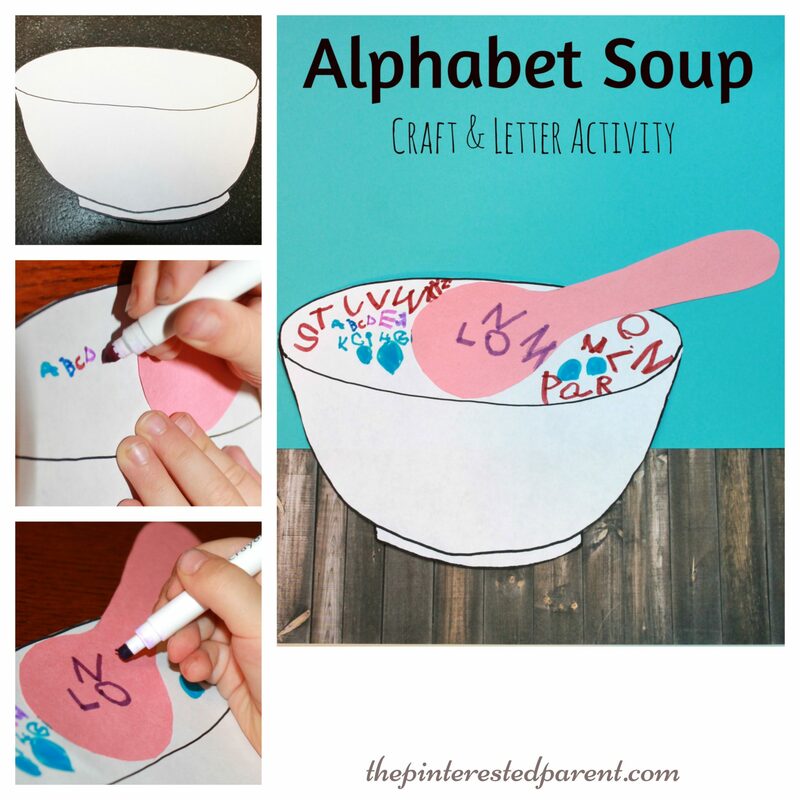 This was a cheap and easy to make activity for my toddler. 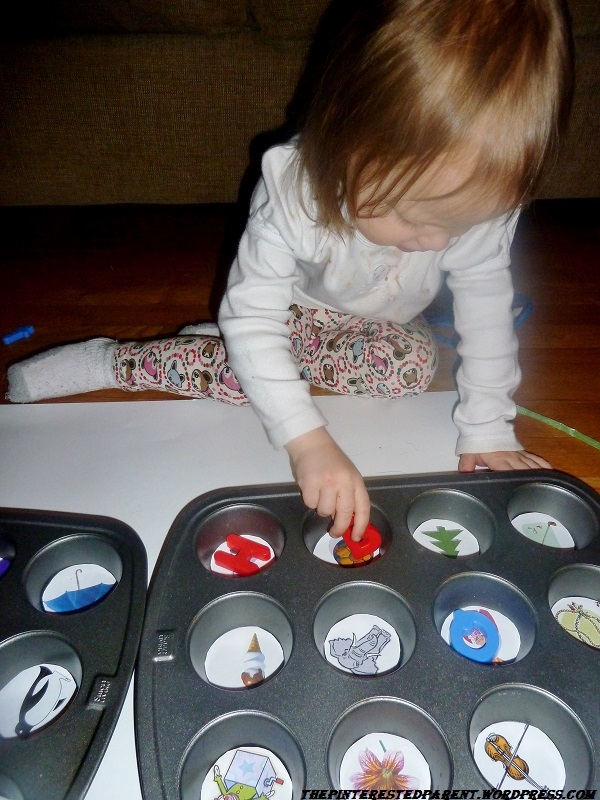 Just line muffin tins with pictures of different animals & objects and let her match up the alphabet magnet to the coordinating word. For example, matching the A to apple or B to banana. 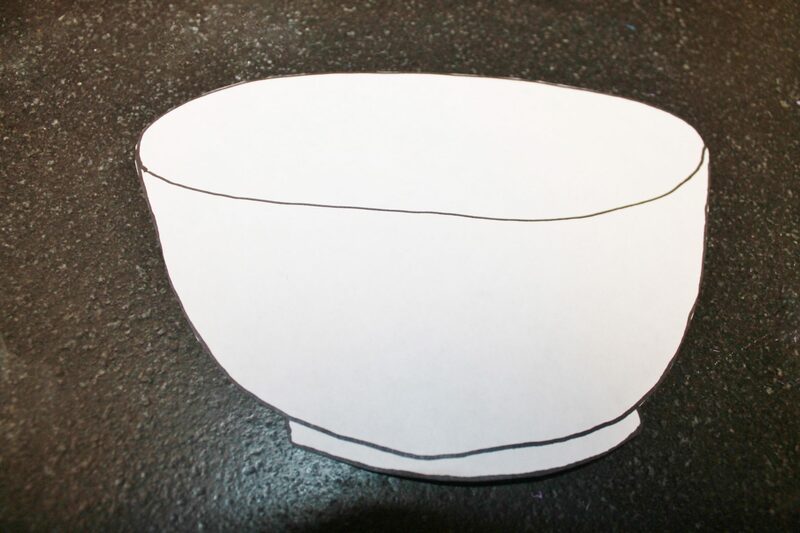 Using the muffin tin as a stencil, outline the clipart & cut to fit inside of the tin. 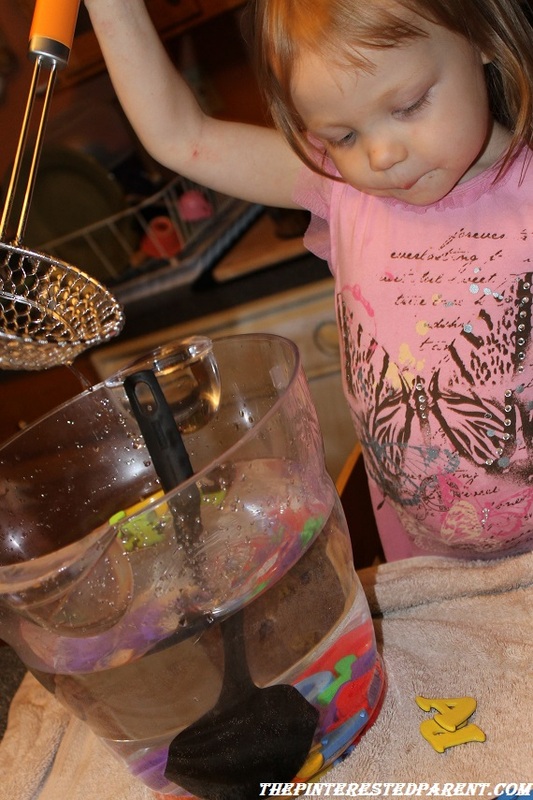 I was overcome with pride watching my daughter do this activity. I have to admit that my eyes watered a little as she completed the tins. I could tell she was proud too. Next step…reading.